The Vampire Diaries Season 6 To Premiere On October 2nd! 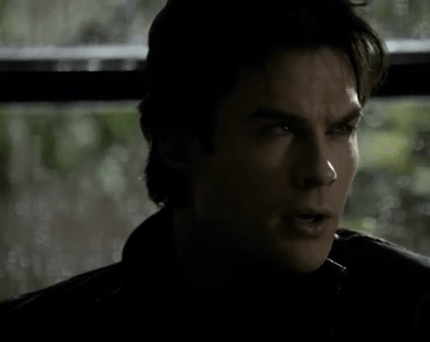 The Vampire Diaries season 5 left us on an emotional cliffhanger. Majority of the viewers were left shocked and sad by the end of the finale episode. When the episode started, we were worried for Stefan (Paul Wesley), but the by end of it, we were crying for Damon (Ian Somerhalder) and Bonnie (Kat Graham) as they were left on the other side. As we know the other side is falling apart and what that will mean for Damon and Bonnie is left to be seen in season 6. Producer Julie Plec confirmed to a leading tabloid that Ian and Kat will definitely be seen in season 6. She did not mention in what capacity we would be seeing them. Will they find a place in the other side? Will they find a way back? Will we only see them in flashbacks? Is this the end of the road for Damon and Bonnie? So…Umm, you might want to Mark those calendars! #TVD season SIX premieres Thursday, October 2! #CWfallpremieres #TVDS6 Whoa,that was fast! Do you want Damon and Bonnie back on TVD? Do you think they will be back or will we be seeing them in flashbacks? Let us know what you think in the comment section below and stay tuned to Fuze.